Not many numbers are as symbolic as lucky number seven. The seven year wedding anniversary might not be as big of a milestone as the 10th or 20th anniversaries. But to those who gravitate toward the number seven, this year is as special as they come. At this point in your marriage, you’re well acquainted with one another and should know enough about your partner to make the occasion especially thoughtful. But sometimes it’s difficult to shop for loved ones, even the person closest to you. Not sure how to mark the day? There is a wide range of accessible seven year anniversary gift ideas that are just as symbolic as they can be practical. Traditionally, the anniversary is marked with either copper or wool. Copper is a champion heat and electricity conductor and is one of the oldest used metals, dating back to 8000 BC. For centuries, copper has been a symbol of affection, beauty, and balance. Wool is a practical and symbolic representation of warmth, comfort, and security. Modern gift lists mark the seventh wedding anniversary with desk sets. To someone who works out of an office all day, a desk set can be a great way to add a piece of home into work life. Here are some gift ideas that will help you combine symbolism, practicality, and personality into your anniversary gift. 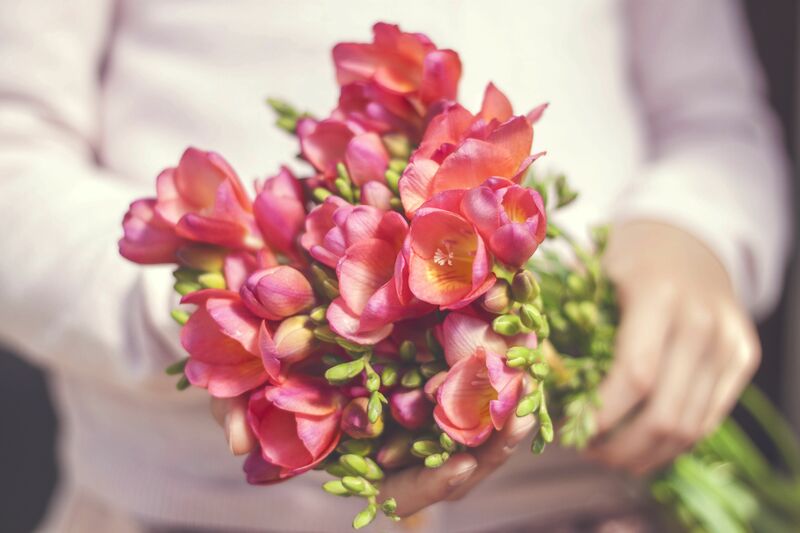 Two flowers are commonly found on seven year anniversary lists–freesia and Jack-in-the-Pulpit. Freesia is a delicate flower that symbolizes friendship and faithfulness. Jack-in-the-Pulpit is a lesser-known perennial that symbolizes shelter. Because copper is so easily formed, jewelry makers love working with it. But there are limitations to using copper in jewelry. Copper oxidizes at a fairly quick rate, and some people are allergic to it. Avoid rings and stick with items like bangles that don’t stay in close contact with the skin for long periods of time. One of the most obvious ways to incorporate wool into your anniversary gift is to purchase a throw blanket. A quality wool blanket can last decades and provide for many cozy evenings. But make sure to step the gift up a notch. Plan an evening under the stars or a trip to the drive-in where you can create a memory on your anniversary using the throw. An easy way to combine the traditional and modern anniversary gift is to seek out some stylish copper desk accessories. Copper and rose gold are popular home decor options that will bring warmth to a space that can feel very sterile at times. Flowers are romantic, and that romance can last for a lifetime when you create a flower that will never fade. Copper is a malleable metal that can easily be formed into roses and other blooms for your spouse. These desk planners might seem cliche, but they are so sleek and functional that they are commonly bought without any symbolism or anniversary in mind. Make the gift a little more memorable by planning a trip or special outing and marking it inside the planner. Since copper is such a great heat conductor, it makes for excellent cookware. Just be sure the copper is properly coated or clad with another metal. The last thing you want is to ingest too much copper. Onyx is the gemstone of choice for the seventh wedding anniversary. Onyx is composed of opposing bands of black and white. Symbolically, it’s thought to protect couples from strains on their marriage. It also represents structure and harmony. As a form of chalcedony, the gem is readily available and relatively inexpensive. Depending on your budget, you can opt for costume jewelry set in the silver or fine jewelry set in gold.